Don’t let the weather disrupt your plans for a long weekend. Enjoy friends and family and most importantly the ceremonies to honor the reason this holiday exists. 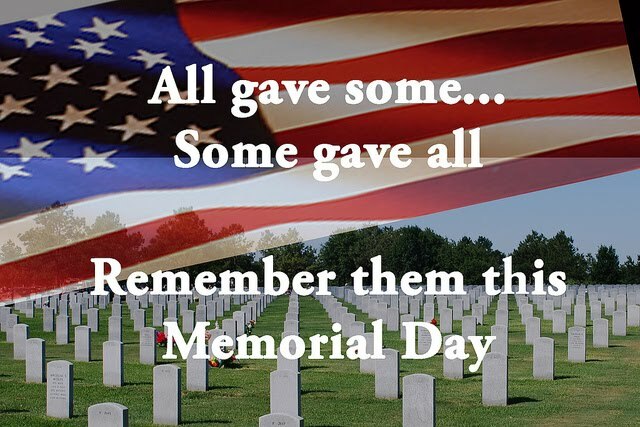 The troops that have died while serving their country is the reason we celebrate at the end of each May. Their sacrifice leads to our freedom. © 2017 Steel City DJ | All rights reserved.